Summer is all about great food and these Summer Lovin’ Spring Rolls definitely fit the bill. A couple of months ago, I was fortunate enough to be on Food Network’s Cooks vs. Cons. I won’t divulge what happened on the show (you’ll have to watch), but during the course of shooting the episode, there was an interview portion, where they asked about all kinds of things relating to my life. As it’s a cooking show, you can imagine that I ended up talking a lot about food and family. I mention all this because if you watch the episode, I talk about coming from a family who’s always been in the restaurant business. My Grandpa had several restaurants, my Uncle had restaurants and even my Dad ventured into the business with my Uncle when I was at college at Auburn University. Looking back though, one of the most unique things about my Italian family being in the restaurant business is that my Grandpa had a restaurant that was half Italian and half Asian. Yep…you read that right…a half and half Italian/Asian restaurant. Brilliant! And a little unusual, I might add. 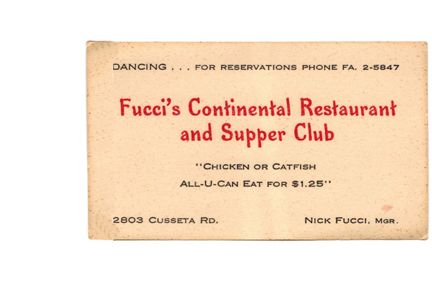 It started off as Jean’s Continental Restaurant (named after my Grandma) and was later changed to Fucci’s Continental Restaurant and Supper Club. That has a nice ring to it! As my Aunt Cindy tells me, the restaurant had a big room for dining and dancing, with live music…and All-U-Can Eat Chicken or Catfish for a buck twenty-five. Sounds like the perfect place to me…and knowing my Grandpa, I’m sure it was! 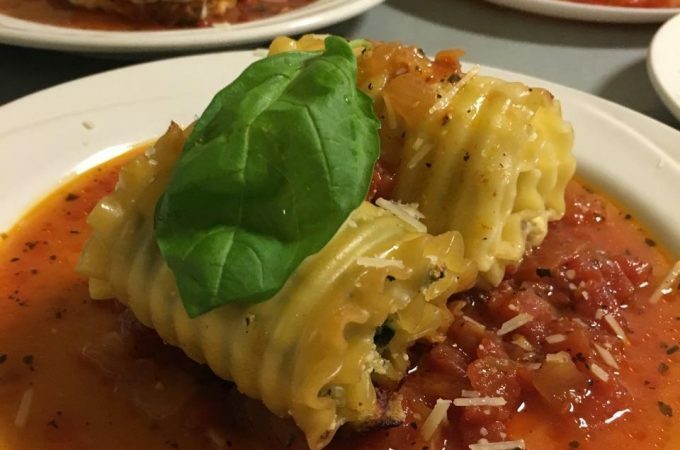 Still, you might ask, “What is an Italian thinking opening up an Asian restaurant?” Who knows…but I do know I’m all for it because I just love Asian food! Seriously, if you ask me to go to lunch and ask me where I want to go, it’ll be an Asian restaurant…Chinese or Thai. Guaranteed. Who knows, maybe my Grandpa’s love for Asian cooking is where I found my Asian culinary affinity. And I’ve been getting a bit more adventurous lately, exploring other Asian cuisines like Korean BBQ, Vietnamese food…and, of course, Sushi. I am quite happy with a Shrimp Tempura Crunch Roll. 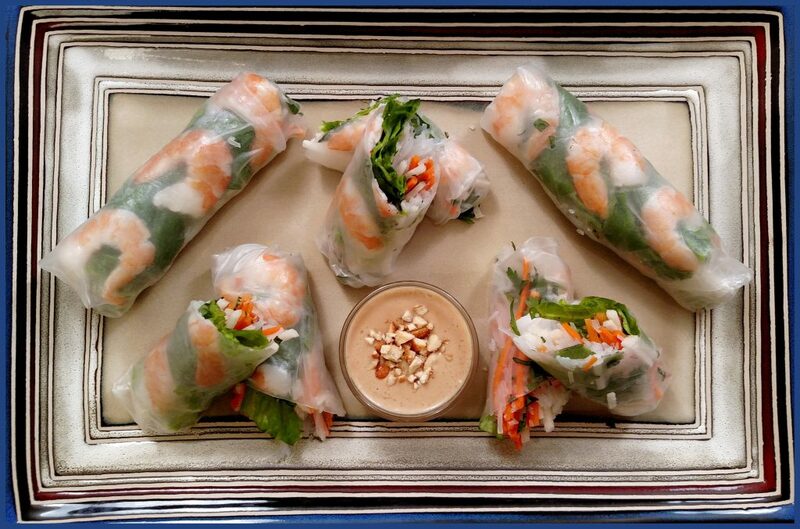 These Summer Lovin’ Spring Rolls are perfect for summer! They’re so crisp, crunchy and refreshing! 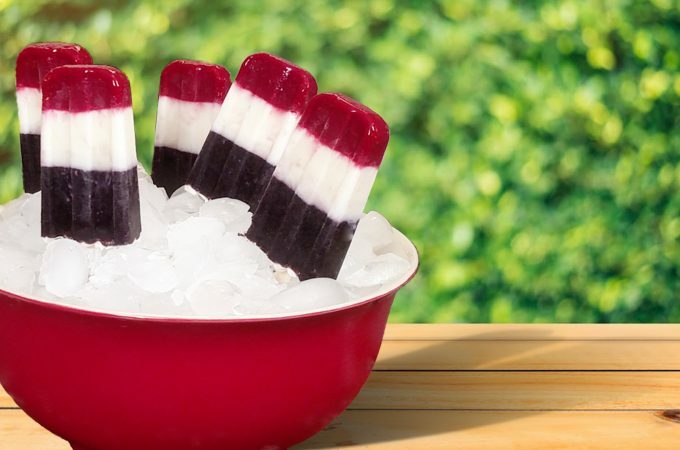 And they’re perfect for any summer event. Not to mention, these Spring Rolls are incredibly fun to make and after you make them, there is a sense of pride that comes over you because of what you’ve just created. They look so fancy. Maybe it’s just me that’s proud of my accomplishment, but seriously, these things look and taste just like the ones you get in a nice Asian restaurant. You’re going to impress yourself and anyone you make them for. 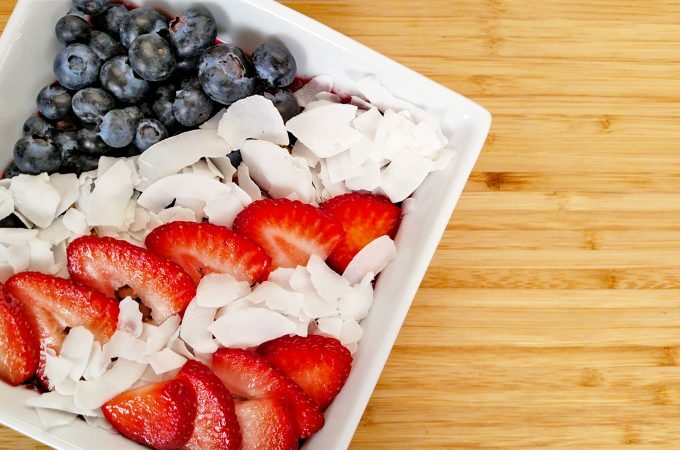 And the best part is that you can mix up the ingredients to add whatever you like. Some other options include bean sprouts, cucumber, avocado, red cabbage, peppers, you name it! The sky’s the limit. And don’t forget the Peanut Dipping Sauce…it’s a must. These Spring Rolls definitely love Summer….and you’re going to definitely love these Spring Rolls! But, I’m curious as to what combinations you’re making. Please leave a message and let us know! If you’re a summer lover like me, you’re gonna dig these Summer Lovin’ Spring Rolls! Cool, crisp and refreshing…they’re the perfect portable companion for your summertime adventures. This recipe is all about Mise en Place, which is a French phrase that means “Everything in its Place.” So, we are going to prepare all the ingredient before we start rolling the spring rolls. Place Rice Noodles in a Bowl of Hot Water for a few minutes until cooked through, yet still al dente (Italian phrase meaning “to the tooth.” The noodles will still have a bit of a bite to them so that they’re not overly soft). Strain Noodles. Gather whole leaves of Thai Basil, Cilantro and Mint. Mince only the Mint leaves. Remove Lettuce leave and cuts them to approximately 2 inches by 5 inches. Peel Jicama and Carrot with a Vegetable Peeler. Using a Mandoline or a Sharp Knife, julienne Jicama and Carrots (cut into matchstick size) no longer than 5 inches long. Slice Cooked Shrimp in half from head to tail. Place dry Spring Roll Wrapper in Pie Plate filled with Warm Water for about 2-3 seconds. Place wet Spring Roll Wrapper on non-porous surface like a synthetic cutting board. If you are using a wood cutting board, it helps to place a Tea Towel on top of it to prevent the Wrapper from sticking. Place 3 shrimp halves (pink side down) in a line in the center of the Wrapper about 2 inches from the bottom, leaving a little bit of space between the shrimp. Place 3 Basil Leaves next to each of the Shrimp. Place Lettuce on top. Followed by Jicama and Carrots. Sprinkle some Mint on top. Then, please the Noodles on top next, followed by 3 leaves of Cilantro. Fold both the left and right side of the Wrapper over the ingredients. Grabbing the Wrapper end closest to you, fold it over the ingredients and roll up the Spring Roll.